Question 1: Explain why principles-based standards require a conceptual framework. Conceptual framework refers to the set of generally accepted accounting principles. These are the basic guidelines which help in accounting practices and also, help in the development of future accounting standards (Weygandt et.al., 2010). 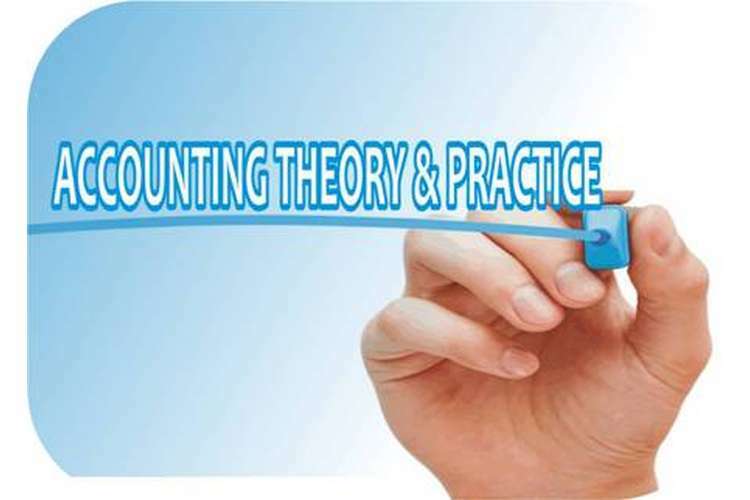 The conceptual framework helps in achieving sound and consistent, accounting standards. These are the written statements for the overall development of the accounting conventions and principles. Principles- based standards require a conceptual framework because standards cannot be mere a collection of conventions rather these must be rooted in fundamental concepts. Also, the standards based on conceptual framework helps in achieving coherent financial accounting and reporting (Agoglia et. al., 2011). These principles standards help in achieving consistency in the financial reporting and thus, provide a consistency in the financial interpretation. Also, these principles bring transparency, authenticity, and comparability among the financial statements of different organizations. The major objective of the principle-based standards is to ensure good reporting and to make them quite understandable for the viewers. These principles-based standards provide a wide range of advantages for tackling different situations or stages. Though, all the issues cannot be resolved with the help accounting based principles. But, these are useful in many of the practical aspects of accounting. The major drawback of the standards is that these cannot be applicable in different situations. These are to be adjusted by the user according to their applicability. Question 2: Why it is important that the IASB and FASB share a common conceptual framework? Both the boards, have been established during the years 1970’s & 1980’s and put in their best efforts for providing an adequate foundation for the principles- based standards. IASB conceptual framework provides assistance not only to the standard setters but also to the financial preparers, auditors, and users. The others purposes of the board are to provide guidance for application of the IFRS into different organizations, developing standards which are not yet developed and are used by the organizations and it helps auditors in the formation of opinions about the financial statements and helps users in the interpretation of financial information. Their motive is to set standards which are sound; comprehensive & internally consistent (Hail et. al., 2010). In contrast, the FASB do not prefer changing generally accounting principles and modifying the existing accounting standards on the personal interpretation of individuals (Zhang & Andrew, 2014). In previous years, also both the boards have been trying to come together for forming standards but due to the difference in their goals and objectives in the formation of principles-standards, did not make them together. Due to the difference in their conceptual framework and in their opinions, both the boards have not been able to bring convergence to their standards and these difference cause difficulties in bringing conclusions to the standards. It is important for both the boards to share a common conceptual framework to bring consistency and comparability among the financial statements of different organizations. Therefore, it is required to bring consistency in the principles- based standards of both the boards to overcome the shortcomings of the different standards. Question 3: It is suggested that several parties can benefit from conceptual framework. Do you consider that a conceptual framework is more important for some parties than others? Explain your reasoning. The conceptual framework established by the international & national boards is indeed useful for numerous parties. These are mainly used by the boards, financial preparers, auditors, and users. The boards use them as a basis for understanding the requirements of these standards and modifying these standards from time to time to make them more useful. 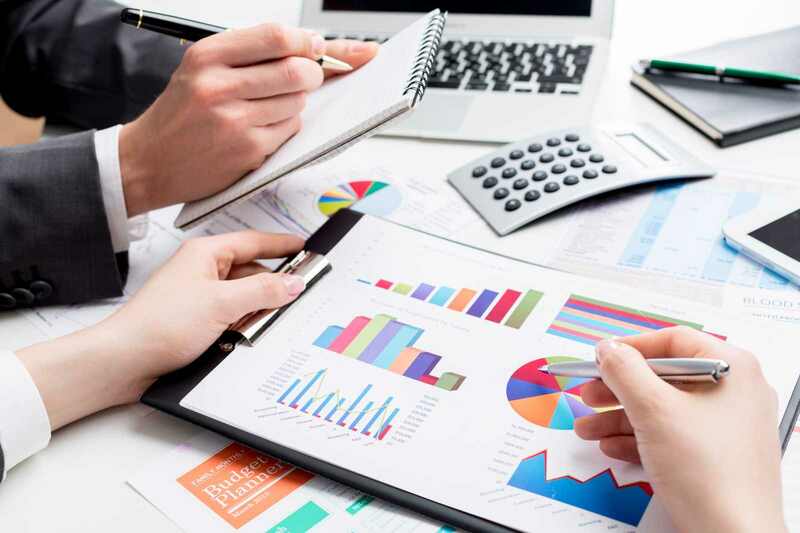 The financial preparers use them in preparing their financial statements and use international financial reporting standards in the formation of their financial reporting. These are highly useful for financial preparers as these are basic guidance for them in justifying their accounting working and make them comparable with other enterprises of the same industry. These are also used by auditors to interpret the financial information and use them in auditing financial reporting. These are also used by users for interpretation of the financial information and use them in taking various decisions. These standards allow the users to make a comparison among the enterprises. All the parties are benefitted from the conceptual framework, in their own way. As conceptual framework is used by users according to their specifications and preferences. Though the level of requirement is different among the parties, for instance, financial preparers use them more as compare to users or financial analysts. Therefore, it cannot be ascertained that these are useful for some parties and not useful for others. Every party makes use of these standards on the basis of their judgment and requirements. Question 4: What is meant by “cross-cutting” issue? Suggest some possible examples of cross-cutting issues. 1. The major issue among both the boards i.e. IASB and FASB is the difference in the conceptual framework of both. The difference in the objectives, characteristics, definitions, and criteria set forth regarding principles- based standards of both the boards are responsible for the difference in the setting of common standards and creation of a common conceptual framework. Therefore, this has emerged as the biggest cross-cutting issue among the international boards. 2. During the period of 1970’s & 1980’s, the objectives, characteristics & criteria of setting standards of both the board are quite different. Therefore, to get a common platform for refining, updating and improving the conceptual framework is quite difficult. 3. The respective standard-setting boards of the both the boards have a difference in their opinion regarding the setting of standards. Standards are set on the basis of the personal conceptual framework of the members of the board, and it is quite tough to co-relate or bring agreement among all the members of the boards. Even, if an agreement is produced on the opinions of both the boards, the timely change in the member of the boards leads to a difference in the opinions. Question 1: What you think is the fundamental problem with financial statements based upon the historical cost measurement principle used under US GAAP? Historical cost refers to valuing of assets on the basis of the price at which it is purchased or acquired by the organization. In this principle, the market value of the asset is not considered (Laux & Leuz, 2010). In U.S., historical cost principle is used by the financial preparers for valuing assets in the balance sheet. The major problem with historical cost principle is that it does not allow measuring any form of appreciation or impairment in the assets, which might have occurred during the period of usage. Therefore, this principle is considered as misleading and do not reflect the actual financial position of the respective organization. Organizations which uses historical cost measurement principle is their financial statements do not reflect true & fair view. These financial statements misguide its users, credit rating agencies and competitors etc. therefore, this principle is not considered as the fair value of measurements and must not be adopted in certain areas which require utmost reliability & accuracy. According to the FASB, there must be the use of the fair value of measurements in financial statements. This leads to greater accuracy & reliability in the financial data & financial interpretation than historical cost. These are more reliable for interpretation by financial users, auditors & financial preparers. Though, FASB considers that reliability should not supersede the relevance of the financial statements. Though, switching from historical cost to fair value requires great efforts. Valuing through the fair value of measurements can be difficult in absence of active market. Question 2: What do you think of principle’…accounts must reflect economic reality’ as a core principle of measurement in accounting? In accounting, principles of a measurement play a vital role in the formation of financial statements and are used as a core principle by the financial preparers (Weygandt et. al., 2010). The term “Principle of measurement of accounting must reflect economic reality” means that measurement principles must depict the economic reality and should not depict unauthorized or unreal values of assets of an organization. According to the FASB chairman, the fair value of accounting must be used to measure the values of assets, while making financial statements. Fair value provides a far clearer picture of the economic state as a comparison to any other measurement. According to the GAAP principles, historic measurements are considered by the organizations of U.S. But, due to various shortcomings of the historic measurements principles, financial analysts proclaims that fair value of measurements must be considered for valuing the balance sheet. This measurement helps in adjusting the all the fluctuations whether be appreciation or depreciation or any other form of impairment in the market. This measurement helps in proper accounting analysis. This measurement helps in proper financial interpretation and helps users in making correct financial decisions. Therefore, the financial preparers must consider fair value of measurement for making their financial statements, so as to reflect economic reality in the financial reporting. And thus, helps the financial users. Hence, it can be concluded that principles which bring the economic reality in the financial statements must be considered by the financial preparers. Question 3: How would you measure economic reality? Financial statements present the financial data of an organization. It tells about the financial soundness of an organization. The facts & figures of the data must be economically real so as to present true & fair view of the financial position of the organization. Economic reality is the true indicator of measuring the financial performance of the organization. The concept for measuring economic reality is Economic Value Added (EVA). EVA is known as the economic profit created in excess of the returns of the shareholder’s. This is basically the economic value added by an enterprise to the economy of a nation. Therefore, this is a true indicator of valuation of economic added to an organization (Zéghal & Maaloul, 2010). Calculation of EVA is to the exclusion of all the costs from the profits including the cost of capital and cost of alternatives foregone. Thus, this extracts the true profits of the organization and depicts the true value added by the organization to the economy. These kinds of financial indicators depict the true and fair value for the organization and assist users & investors in analyzing the financial soundness of the organization. thus, it can be said that economic reality is the core principle which must be adhered by all the organizations. Question 4: What is reliability in accounting? Accounting refers to the identification, analyzing, organizing and interpretation of financial information. This process helps in summarizing the information and making them understandable for the users. In accounting, the financial data presented must be reliable and relevant, so as to make correct & fair use of such information. The financial data must relate to actual transactions and should not be biased or fake (Chen et. al.,2010). It is very important that the data provided in the financial statements must be true & reliable so as to know the true financial position of the organization. A reliable financial statement increases the market value of the organization, and also, increases its share market prices. The more the data are reliable, the lesser are the chances of it being false or untrue. On the contrary, false or misleading financial information not only breaches the faith of the investors but also, decreases the market value of the organization. Various critics have different opinions about the reliability of the financial statements. According to FASB, the reliability of data is associated with the fair value measurement of the assets of the organization. As this form of measurement is far more reliable than the historic cost of measurement. Some of the critics said that reliability must be the dominant feature of the financial statements, while some relate reliability with precision. Thus, it could be said that reliability should be the top most priority of the financial preparers and, the financial information presented must be free from any kind of bias and untrue statements. Question 1: How do you think companies would go about estimating such a provision? According to GAAP provisions, every company is required to maintain provisions for the environmental cost due to the retired asset of the organization. Since the retired assets harm the environment, it is essential to maintain the provisions and reduce the impact of environmental degradation. According to the US Financial Accounting Standard Board (FASB), every company is required to maintain a provision for environmental liability occurred due to retiring of the asset of the organization. The board further stated that disposal of assets adversely affects the environment and, therefore, it is the legal obligation of the organization to maintain the provision for environmental costs. This requires estimation of the fair market value of the retired asset, in the year in which it is retired. The companies would go for such estimation by applying the discounted rate adjustment technique. In this the expected cash flows from the asset are discounted by using a rate.After the company shall allocate the cost of asset retirement to expense using a systematic and rational basis for allocation. The changes in the liability arising over the time shall also be recognized. These changes can be recognized as an in the carrying amount of liability and as expense classified as Accretion expense. Question 2: What aspects of the requirements were used by US companies defer recognition of a liability? The organizations which directly or indirectly harms the environment through its measures or activities needs to pay for the environmental degradation it causes. Many of the developed countries, executes various provisions for estimating degradation costs occurred to the environment (Lombera & Aprea, 2010). According to FASB, it is the legal duty and responsibility of the organization to maintain the provisions for the environmental cost due to the retirement of assets. Many of the U.S. corporations used various measures to defer the recognition of liability. The organization used the technique known as “mothballing”. In this technique, the organization does not dispose of the property, which has been already retired. Rather, the organization preserves it until it results in the automatic disposal of the asset. In such situation, the organization is unable to calculate the fair value of the retired asset and therefore, unable to calculate the provision amount. Therefore, the uncertainties in the time and methods for calculation of the fair valuation of the assets lead to deferment of liability. Also, the organization who do not have any preceding litigation or suit effectively postpones the environmental liabilities. FASB has also provided certain examples such as asbestos-contaminated factory cannot simply “mothball”. And it needs to maintain adequate reserves for covering the cost of removal of asbestos. Another example provided by it is reserves must be established till the disposal of the asset such as creosote. All the above measures are utilized by the U.S. companies for deferring the liabilities and therefore the FASB board became stricter about the procedure. This led to liabilities of millions of dollars for the organizations. Question 3: In what ways does the recognition of the liability in relation to future restoration activity affect. The effect over the net profits of the organization- The capitalization of assets and amortization of it within the lifespan of the assets does not affect the net profits of the organization. Also, maintenance of allowance for the restoration activity on the liability side does not affect the balance sheet of the business. Effect the Cash flows of the organization- capitalization of assets does not affect the cash flows of the organization. Amortization of expenses also does not affect the cash flow of the throughout the life period of the asset. At the time of retirement of an asset, there will be an outflow of cash due to the disposal of an asset (Carnegie & Napier, 2010). Therefore, it can be concluded that making of such provisions does not affect either the net profits or cash flows of the organization during the lifespan of the machine. Question 4: How important is it that companies recognize the liability. To what extent is disclosure about the liability sufficient? According to Cho et. al. (2010), in various parts of the world, it is highly required to maintain disclosures relating to the environmental liabilities. Throughout the world, manufacturing of enterprise harms the environment. Therefore, it is being made compulsion for all the organizations to maintain the environmental provisions in their financial statements. According to US Financial Accounting Standard Board (FASB), this issued provisions in 2002 regarding the provisions of liabilities of the retired assets. In 2001, the European commission, established and promoted tougher & non-binding guidance for disclosing the environmental costs and liabilities. In the year 2002, the Canadian Institute of Chartered Accountants published voluntary guidance for promoting the importance of disclosure regarding the environmental, liabilities and other associated risks. Recognition of the importance of assuming liabilities- companies needs to understand the impact of the harmfulness of the disposal of assets over the environment. The cost of disposal of retired assets over the environment needs to be measured to calculate the impact on the environment. Though the measurement of costs of the retired asset is a tough task but there are numerous techniques for measurement of the fair value of the retired assets. The orientation by the industries of various countries shows the concern of the industries towards the environmental degradation. The extent of disclosure of liability- through past few decades, due to rapid economic development environmental concern is not taken up so seriously by the industries (Drake & Griffen2010). But, now, this issue has been taking up seriously and is addressed by all the officials. The degree of disclosure of liability should be to the extent it causes harm to the environment. Agoglia, C.P., Doupnik, T.S. and Tsakumis, G.T., 2011,“Principles-based versus rules-based accounting standards: The influence of standard precision and audit committee strength on financial reporting decisions”. The accounting review, 86(3), pp.747-767. Carnegie, G.D. & Napier, C.J., 2010, “Traditional accountants and business professionals: Portraying the accounting profession after Enron”. Accounting, Organizations and Society, 35(3), pp.360-376. Chen, H., Tang, Q., Jiang, Y. and Lin, Z., 2010, “The role of international financial reporting standards in accounting quality: Evidence from the European Union”. Journal of International Financial Management & Accounting, 21(3), pp.220-278. Cho, C.H., Roberts, R.W. and Patten, D.M., 2010, “The language of US corporate environmental disclosure”. Accounting, Organizations and Society, 35(4), pp.431-443. Drake, J.M. & Griffen, B.D., 2010, “Early warning signals of extinction in deteriorating environments”.Nature, 467(7314), pp.456-459. Hail, L., Leuz, C. and Wysocki, P., 2010, “Global accounting convergence and the potential adoption of IFRS by the US (Part I): Conceptual underpinnings and economic analysis”. Accounting Horizons, 24(3), pp.355-394. Laux, C. & Leuz, C., 2010, “Did fair-value accounting contribute to the financial crisis?”. The Journal of Economic Perspectives, 24(1), pp.93-118. Lombera, J.T.S.J. and Aprea, I.G., 2010, “A system approach to the environmental analysis of industrial buildings”. Building and environment, 45(3), pp.673-683. Weygandt, J.J., Kimmel, P.D., KIESO, D. and Elias, R.Z., 2010, “Accounting principles”. Issues in Accounting Education, 25(1), pp.179-180. Weygandt, J.J., Kimmel, P.D., KIESO, D. and Elias, R.Z., 2010. “Accounting principles. Issues in Accounting Education”, 25(1), pp.179-180. Zéghal, D. & Maaloul, A., 2010, “Analysing value added as an indicator of intellectual capital and its consequences on company performance”. Journal of Intellectual capital, 11(1), pp.39-60. Zhang, Y. & Andrew, J., 2014, “Financialisation and the conceptual framework”, Critical perspectives on accounting, 25(1), pp.17-26.